The Cantrell Center for Physical Therapy and Sports Medicine is located at 405 Osigian Boulevard, Warner Robins, GA 31088. Click here for directions using MapQuest! If you are visiting The Cantrell Center from outside the area and looking for a place to stay, may we suggest the Comfort Suites on 3101 Watson Blvd. 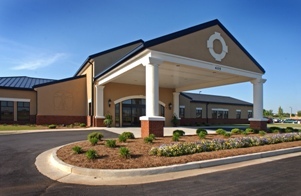 Cantrell Center patients receive a special rate. Please call 478.953.5240 for additional information. 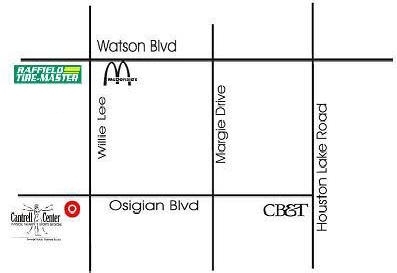 From South Houston Lake Road: Go North on Houston lake Road, Turn left on Osigian Boulevard, just past CB&T Bank. Go through the Osigian/Margie Drive intersection. The Cantrell Center is located ahead on your left. From I-75/Watson Blvd: Take the Warner Robins Centerville Exit. Go East on the 247 Connector/Watson Boulevard for approximately 1.5 miles. Turn right onto Willie Lee, between Raffield Tire and McDonald’s. The Cantrell Center is located directly across from this stop. From Highway 247/Watson Blvd: Turn onto Watson Boulevard from Highway 247. Travel west on Watson Blvd. for approximately 2 miles. Cross through the large intersection of Houston Lake Road and Watson Blvd. Turn left onto Willie Lee, between McDonald’s and Raffield TireMaster. Take Willie Lee until is dead ends into Osigian Boulevard. The Cantrell Center is located directly across from this stop.